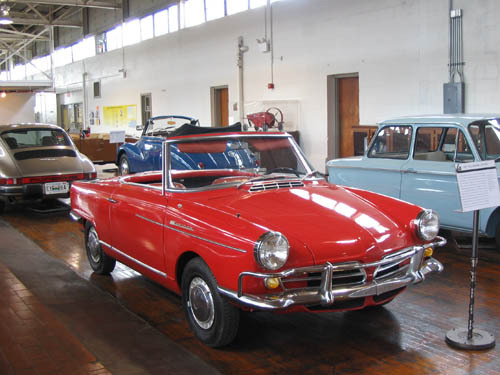 The Wankel-Spider was the world’s first rotary-engined production car. 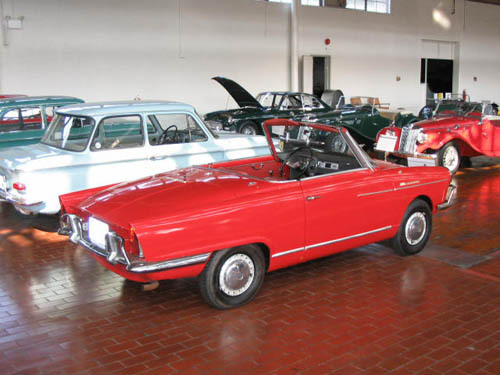 NSU had been experimenting with Wankel-patent rotary engines since the mid-1950s. The Wankel-Spider is a roadster version of the Sports-Prinz, aimed at the more sporting driver. Apart from the removal of the top, the only outward styling difference was the two-piece grill added to the front. To accommodate the convertible top, it was necessary to fabricate new sheet metal over the rear engine compartment and behind the seats to accept the folding canvas top. The water-cooled, rear engine is a unique four-speed transaxle. 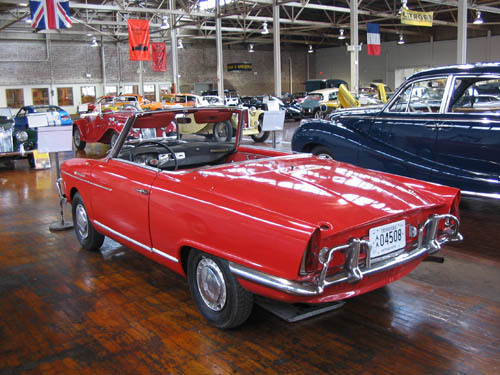 The Wankel-Spider was displayed for the first time at the 1963 Frankfurt Auto Show. A heater/demister, two-toned upholstery, steering lock, and a headlamp flasher were all very impressive, especially when added to the appeal from the technical viewpoint.